Alcatel Y855 router unlocking is possible and its sub-model Y855v is available in Ghana by Surfline carrier. Alcatel Y855v comes with un-customized firmware and after changing the default SIM card with another network provider it asks for NCK code. Once correct NCK is entered, it gets unlocked. 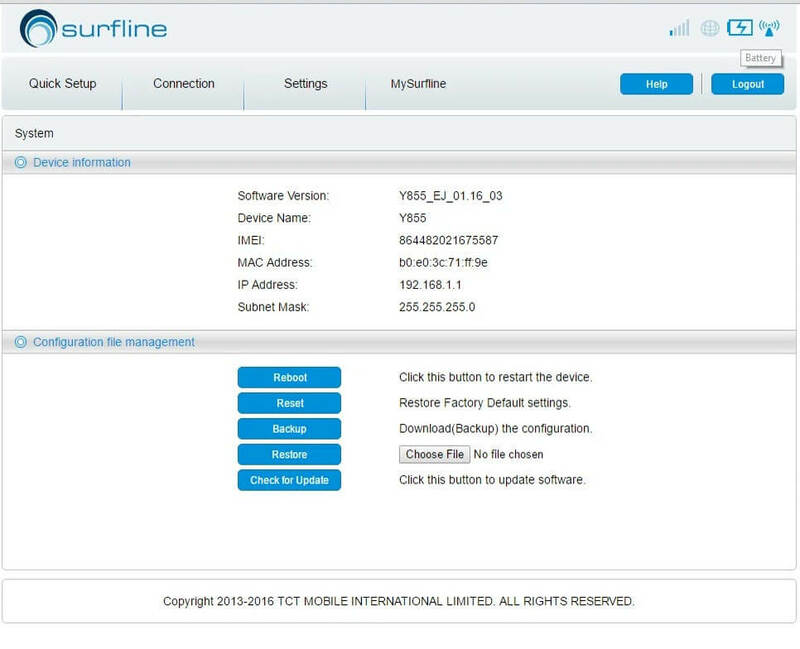 Now problem is that Surfline has customized the software part and there is no place to enter the APN and users are unable to create a profile after unlocking the device. This post is for those users who have unlocked the device, but can’t use any another network SIM card. How to create a new profile in Alcatel Y855 Router? Since there is no option to create a profile, hence we will use here a bin fine, which has configuration file included. 1. Download Alcatel Y855v router configuration bin file and unzip it using WinRAR. 2. Connect your device to the computer with USB cable and browse for 192.168.1.1. 3. Log-in into the device with the password of admin. 4. Go to Settings > System. 5. Under the “Configuration file management” there is an option to “Choose file”. 6. Click “Choose file” and locate the downloaded bin file. 7. 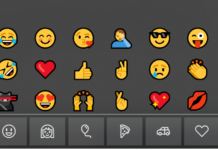 Click Restore left to “Choose file”. 8. The device will restart and it will show other networks. 9. Again open your browser and go to 192.168.1.1. 10. Now log in to the device with password @eggbone123@. 11. Now click on quick setup. 12. Change the login password back to admin. 13. Change the “SSID 2.4GHz Frequency Band” to your choice and change the “Key” to your choice. Read: How to Unlock Alcatel one touch 4g L850v (Surfline Ghana)?